You hear on the news all of the time about big cyber attacks on large corporations, and even government agencies. The trouble with this news coverage is that is suggests a distorted view of who cyber criminals are targeting. These attacks are not solely hitting large organisations. 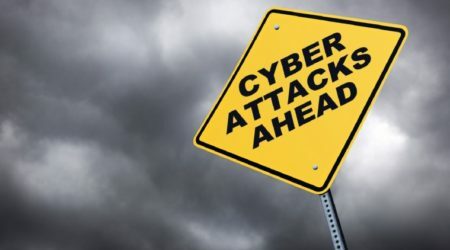 Small businesses represent a significant portion of those who face cyber attacks. Being small by no means keeps you immune. In fact, small firms are often used as conduits to hack larger organisations because than don’t have the same level of security. Last year, 71% of small to medium size businesses were the victims of cyber attacks. If you’re a small or medium sized business, don’t put your head in the sand, chances are you’re a target for cyber criminals. The first priority is to minimise the risk of getting hacked. Our Security Plans have been designed to ensure your security is proactively managed and updated. The second priority is to have a robust recovery plan in place. A data breach can be disastrous. Your response determines whether it’s a survivable disaster. You need to be able to quickly access and recovery up to date backups, access to professionals with experience in disaster recovery and business continuity and you need to have a statement for customers ready. But most small to medium businesses don’t even think of planning for such breaches and fewer have the expertise to make such a plan. Check out our Backup and Disaster Recovery Plans to see the sort of approaches we recommend to clients.